I GUESS I COMPLAINED ALOT BUT THE WEATHER WAS GOOD AND WE HAD A NICE TIME IN SPITE OF THINGS THAT DID NOT HAPPEN ON THIS CRUISE THAT WE FOUND TO BE NICE ON OTHER CRUISES. WE STILL LIKE CELEBRITY CRUISES AS MOST PASSENGERS WERE VERY NICE, FRIENDLY AND THOUGHTFULLY KIND AND THE STAFF WAS PLEASANT ALSO. I have already stated that cruise was excellent. If you do not enjoy your time onboard the Reflection or any Celebrity ship you are just someone who is miserable. This cruise is directed to an older crowd with very few children. The ship is beautiful and well maintained. If you are a seasoned wine drinker then this is your cruise. The itinerary was great and the islands were all very scenic. Plenty of excursions to suit any taste. Do not expect any real wild events. Most activities are directed not to the young but to the young at heart. This was an outstanding cruise. I would definitely take it again and highly recommend Celebrity Cruise Lines. Cruise was very good. 4 days at sea allowed for relaxing in the sun by the pool or other on board activities. Not being in a port everyday provided days to sleep late and not have to rush in the morning to get to breakfast and then leave for an excursion. Great Itinerary. Going to New Orleans for Mardi Gras was a once in a lifetime experience. This was an enjoyable cruise overall in spite of disappointing food in the dining room. 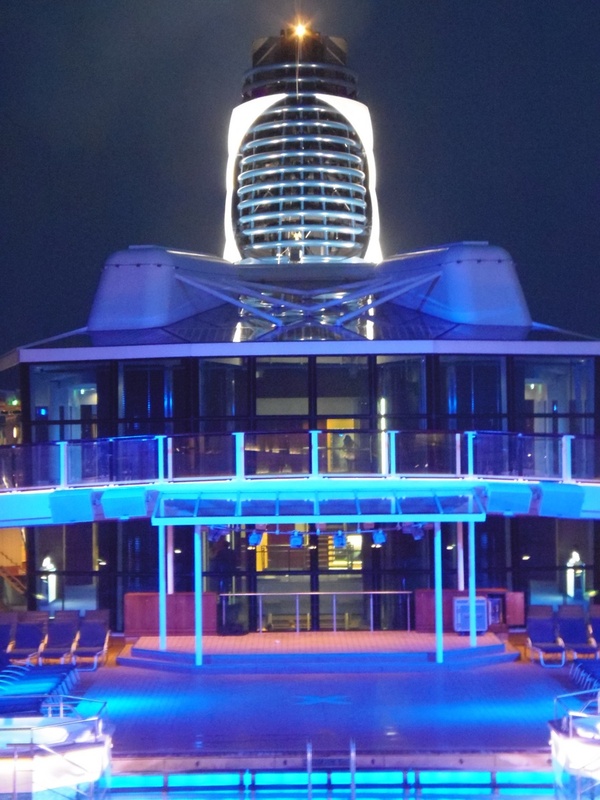 The ship is amazing and well-designed and comfortable. We liked the cruise director and enjoyed the music by the orchestra and other performers. The staff is friendly. We really like the ports that we visited. Murano was very nice for a special night out. Made the trip with six in our group and think this is great way to experience a ship and excursions as can go your own way or not but all get together at day’s end. Lovely relaxing vacation with perfect weather and good food. staff on the ship were very nice and tried to be helpful when possible. would go on the ship again. Overall, the cruise was relaxing. The Oceanview café was a bit understaffed in the omelet station. When I pay over $9000 for a 7 day cruise, I don't want to wait in lines for anything. I have been on the Silhouette 3 times' and the crew on that ship seemed much better, and more happy than the Reflection. I may have to consider a different ship or line for 2019, as the amount of money I'm spending for a family of 5 to travel for a week, leaves me with many other cruising options. Overall the ship was an excellent value. Main dinning room food left a lot to be desired. Crew and staff were always smiling and ready to assist in anyway they could. As I stated in the beginning absolutely the worst cruise I have ever been on. The staff on this ship was amazing - everyone was always smiling and friendly. Trip was not as expected. Crew left a lot to be desired. Food was not very good! I was ripped off on the drink packages! 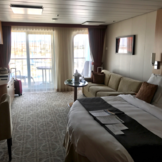 Not Royal Caribbean like! The Reflection is a very nice ship. Good food just about anytime of the day. But with lots of passengers it is hard to get a "true" table for 2 in any of the public dining rooms. The Tuscan Grill has the best steaks on the ship, but it is very dark. Bring you cell phone of a pen light to see the menu. We thoroughly enjoyed our cruise. The accommodations were excellent, the variety of food was very good as was the quality. The crew members were all very courteous and helpful.